We have a very special interview for you folks today to kick off this exciting week. For long time readers, you will know that I am a HUGE fan of the 2008 biker classic entitled Hell Ride. The film was featured in our Sunday Matinee series, and we have spoken with the creator of the film, Mr. Larry Bishop. And our dear friend Laura Cayoutte can be seen int he film as well. And wouldn’t you know it, we have yet another on screen genius who was featured prominently in Hell Ride! Aren’t you all just some lucky truckers! 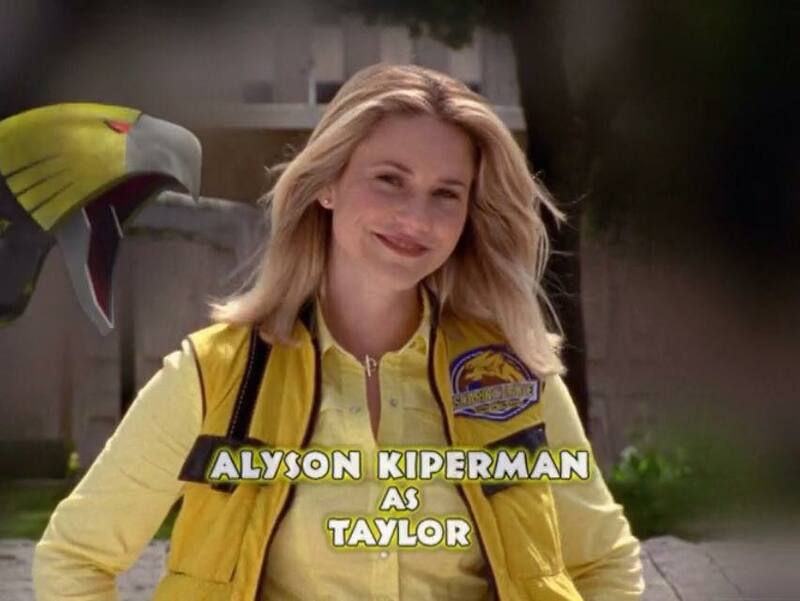 Beyond Hell Ride, Alyson Sullivan has had an amazing career on screen working on films and shows like Power Rangers Wild Force and Undressed. For our younger readers out there, her role as Taylor in Wild Force might be her most recognizable accomplishment. But, Alyson has accomplished a whole lot in her career, and we are very excited that she took some time to answer a few questions from us. So ladies and gentlemen, please enjoy some great words with the wonderful Alyson Sullivan! You began acting very early on in life. What was one of the earliest projects you can remember working on? How was that experience for you at such a young age? The first show I was on was called The Torkelsons in 1991 which aired on NBC. It was a multi camera sitcom with a great cast and sweet premise. I played the rich mean snotty girl in school, Dream Donathan, who loved to tease and torture the lead Dorothy Jane played by the very talented Olivia Burnette. It was my first time on such a large set and studio lot as I’d only filmed commercials before that. The part was originally meant to be a guest star but turned into a recurring role so to have that be my first TV experience was amazing. I learned so much on that set as they were patient with me and Olivia already being such a seasoned actress by the age of fifteen really helped me out and was such a generous actor to work with. What is it like to be a part of the renowned Power Ranger franchise in the Wild Force series? Have you experienced a great bit of fandom from your time on this series? Shooting the show was unlike anything I’d ever done. I’d mostly appeared on sitcoms and more serious dramas so playing an Air Force Pilot who also happened to be a super hero, that was a challenge!! Really only in the past few years have I realized just how large the Power Ranger fandom truly is. I appear at conventions and fans drive hours and fly from all over the world to meet us. It’s pretty mind blowing. The fans are super sweet and kind and supportive and I feel truly blessed for their friendship. What was a typical day like when shooting Wild Force? To the common viewer, it appears as though it may be exhausting, but possibly a great deal of fun. Am I even close with this assumption? Some days were fun…..many were challenging as they were very physical with choreographed fight scenes and extreme temperatures. The days began at 5:45 a.m. and could consist of running from huge explosions to fighting stuntmen in monster suits to green screen shoots in my F16! In 2008 you appeared as Gigi in a film written and produced by our friend Larry Bishop, and featuring another dear friend Laura Cayoutte, which I consider to be a modern grind house classic entitled Hell Ride. So, what was it like working under the guise of Larry on a motorcycle movie? Did it feel like much of a departure from your previous work? Really loved shooting with Larry Bishop and Laura Cayoutte. I’d met Larry when I was filming on the set of Laura’s short film Intermission which was how I was cast in Hell Ride. They’re both such a good vibe and such professionals so being on set with them was such a pleasure. Playing one of Michael Madsen’s girlfriends was so much fun as well as working with Michael Beach who’s also so super talented! My character Gigi was similar to a character I’d played in a film ten years prior in that her dialogue was funny. Normally in comedies I’ve always been cast as the straight/dry character which can get old so when Larry gave me the part of Gigi I jumped at the chance to let my sailor mouth take over! Making such legendary actors laugh in our scenes…..that was something I’ll never forget! If you were handed the opportunity to portray any legendary character in American history, who would it be? That’s a tough question. I grew up obsessed with acting. Watching women and men live these fantasy lives on the big screen. Their power to make me laugh and cry in the same moment. There have been so many characters that made me dream of acting and have inspired me to persist even to this day. My greatest joy though is making people laugh so the many roles of Steve Martin or Chevy Chase….Lucille Ball or Richard Pryor. It’s never been only one character male or female but the type of role which takes great acting skills while being extremely comedic at the same time. So what does the future hold for you? Anything you would like to tell our readers about? It’s funny that this question follows the previous one as I’m about to begin shooting again soon and I’ll be playing my dream role….the part of a lifetime really. I have the honor of starring in Larry Bishop’s next film The One-Way Ride. The part I’m playing is the most challenging role I’ve ever read in any script over the past three decades. I can’t give away too much about the film as I wan’t you to experience every twist and turn Larry has in store or everyone!